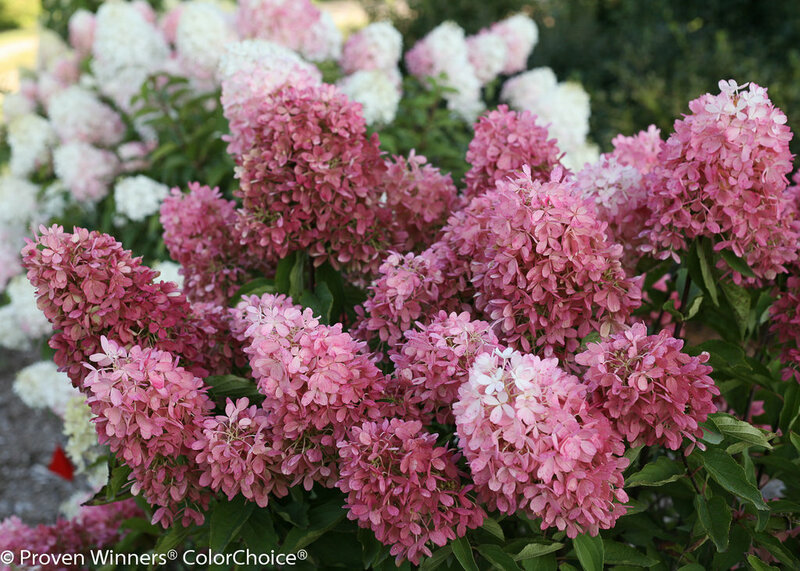 Pink and white two-toned blooms! 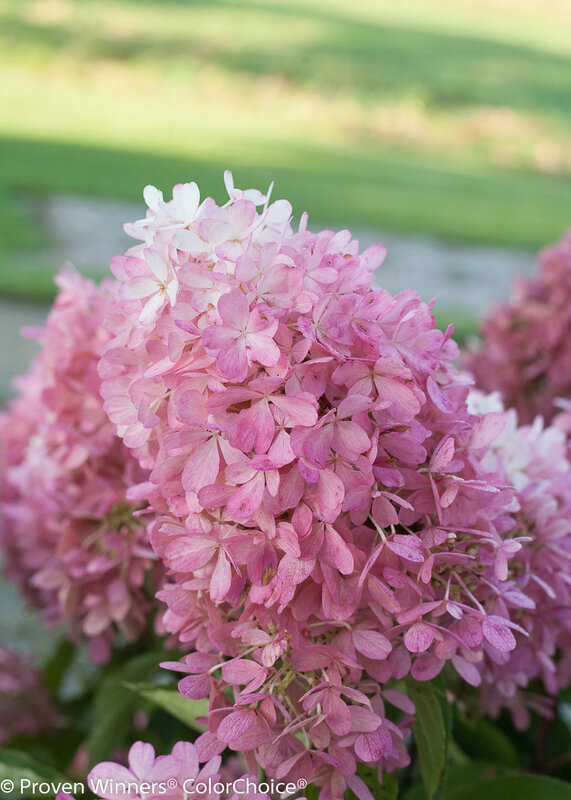 A beautiful new hardy hydrangea with loads of bodacious blooms that emerge pure white and then turn bright pink from the bottom up. 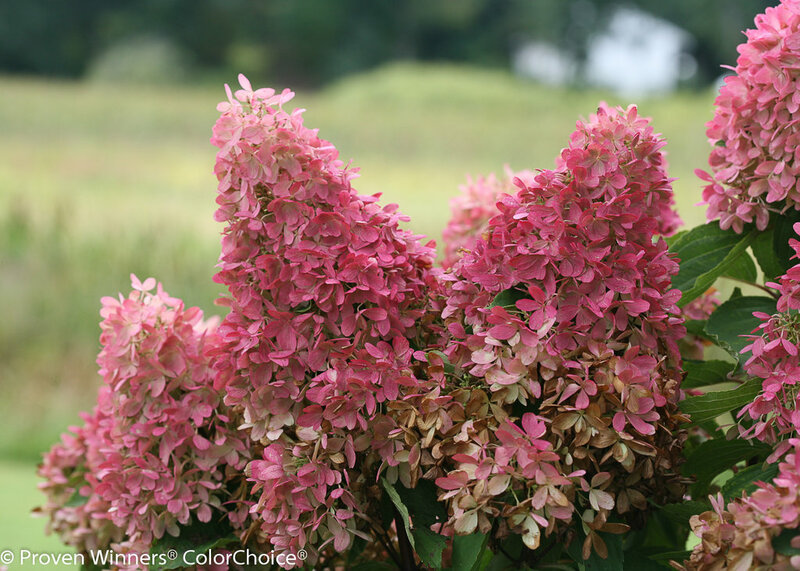 Flowers eventually age to a dark pink-red, and stay colorful for months. 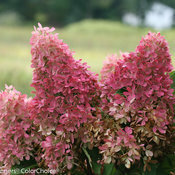 It looks a bit like classic Pinky Winky hydrangea, but with full, mophead flowers, and it blooms much earlier, too. 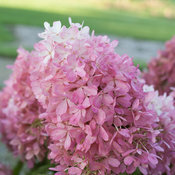 Strong stems hold the flowers upright in the garden, and make it an excellent cut flower, too. 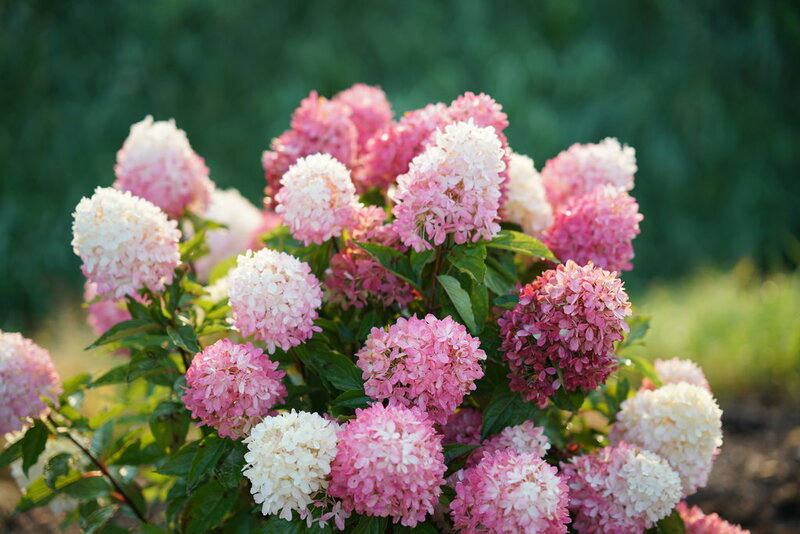 Flowers open white then turn pink from base to tip. Panicle hydrangeas are super easy and reliable. In cold climates, they should get a minimum of six hours of sun each day; in hot areas, morning sun and afternoon shade are best. 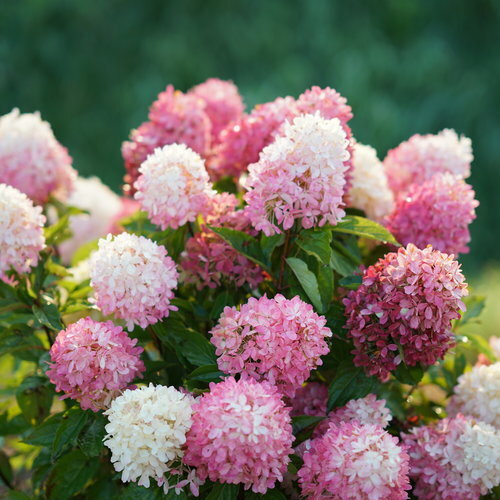 These are shallow-rooted plants that really benefit from a 2-3" (5-7.6 cm) layer of mulch. 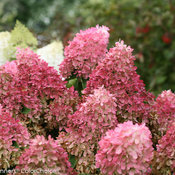 As for pruning, plan to cut these plants back by about one-third in early spring. 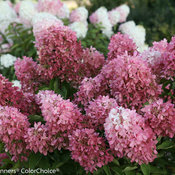 This builds up a strong base while encouraging vigorous new growth to produce lots of blooms. Mine barely turned pink , shriveled up, and turned brown. 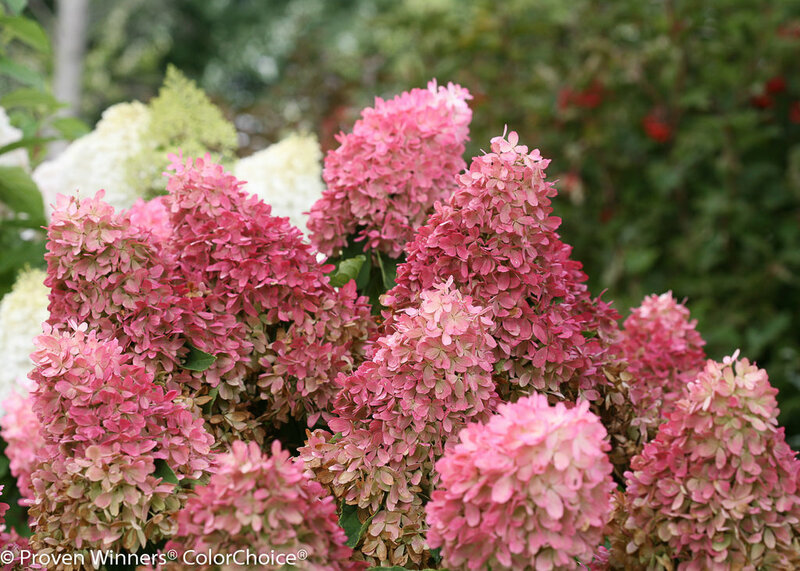 Not getting any bright pink this year. Should I add aluminum to the soil?